"Give Your Business A Mobile Orientation"
The mobile market is the most rapidly growing market in the world. Our Mobility team are well versed to build scalable and customized mobile applications for our clients to take their organization to next level. 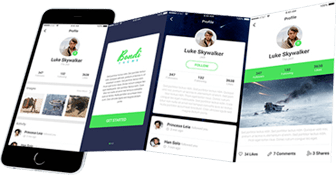 With the use of all latest mobile technologies like Android, iOS, Swift, React Native, iOnic, Xamarine, etc., a refined mobile application is developed at out development center.